You always knew that your wedding would be different from everyone else: simple and refined at the same time, spontaneous and original, fun and a little crazy. If you do not want to give up a touch of originality even on the most traditional day, the wedding in the countryside is the one for you. 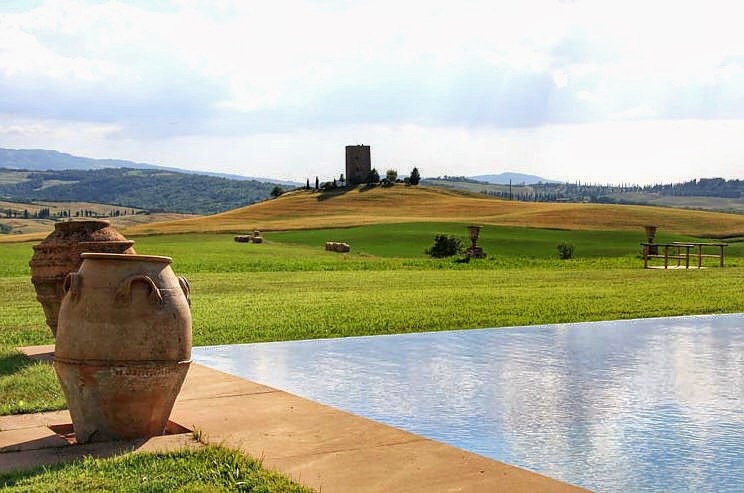 Set in the picturesque setting of the hills of the Sienese countryside, Dimora Buonriposo stands out for the beauty and harmony of its architectural forms, finding the right structural balance in the context of the twenty hectares of surrounding parkland. A farmhouse nestled in the sunny Tuscan hills, a banquet in the open air with genuine products km0 washed down by the best vintages of wine of our vineyards, a rustic and sophisticated country-chic atmosphere at the same time; the smell of vineyards, aromatic herbs, seasonal fruits, natural products such as gifts and place cards. Our collaboration with the best catering service in Tuscany, for weddings, means that our quality standard is always of a high standard and in perfect harmony with the territory and the tradition of Made in Italy. We will meet all your tastes with specialties and delicacies prepared with skill and elegance by the chef with whom we collaborate and who will be able to satisfy the most demanding palates, taking into consideration also your needs and your guests. "My creativity and my experience will transform your dream into reality, giving you and all your guests a day full of lightheartedness, fun and originality. A day that will be impossible to forget". Dimora Buonriposo has successfully passed the 100 Quality Controls established by the "Certification Protocol of Historic Houses of Excellence" and is properly certified by the ITALIAN REGISTRY OF THE HISTORIC HOUSES OF EXCELLENCE. The phone number of Dimora Buonriposo is +39 3381156822 or 0578266219.